The shape is based on a rotated sinus curve that lets light and shadow create an easily recognizable silhouette. Alma Sinus is a luminaire that can be used as a solitary pendant to create focus above a table, or in a group in a larger space, like a ceiling of lights in the form of a floating pattern of illuminated discs. 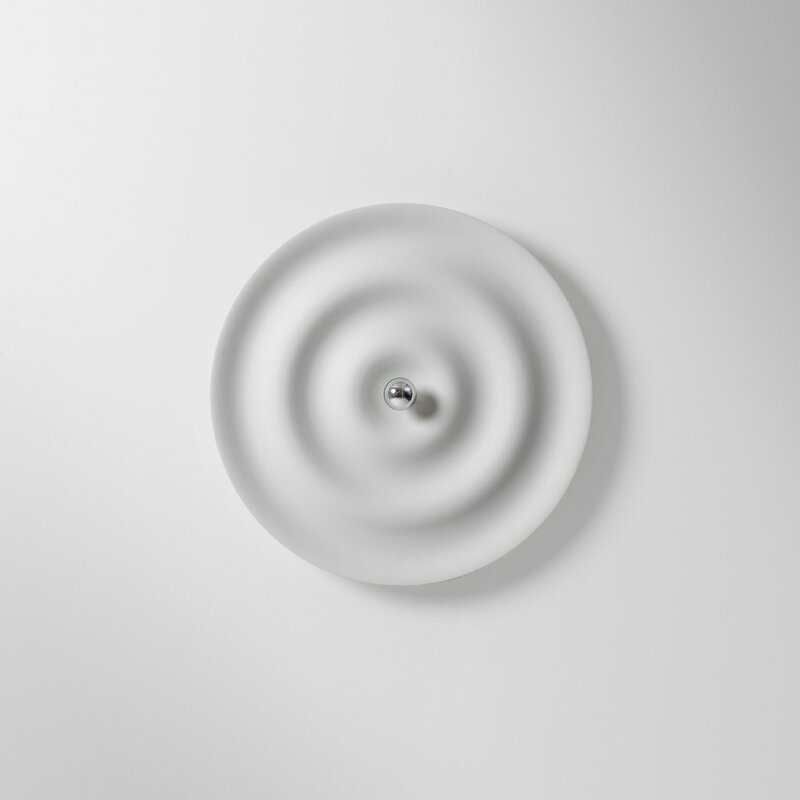 The light profile of concentric circles can be varied with the use of different types of lamps in the standard e27 socket. A carefully selected satin matte finish and color lends the soft and reduced form a sculptural quality already in natural daylight, and even more in the rays of electric light. 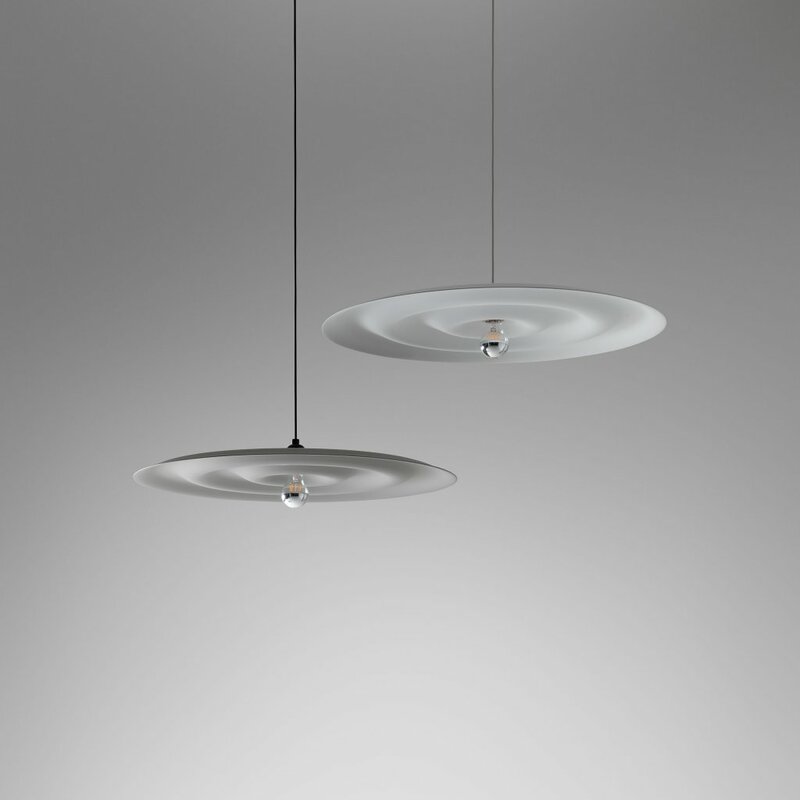 With its thin profile the Alma Sinus is easy to use in a ceiling, on a wall, or as a pendant luminaire. This way the light distribution can be easily adapted to the requirements of each lighting situation.